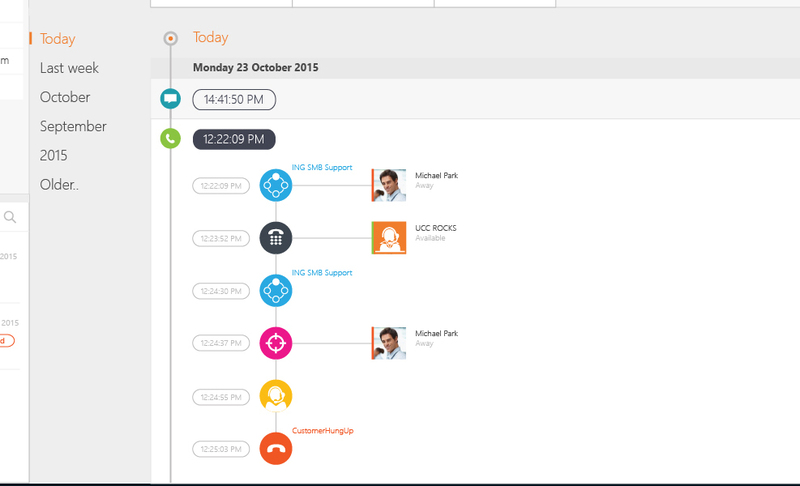 The timeline tab shows the previous contact moments with that customer. You can select a period on the left. After selecting a time range you can see all contact moments and expand by clicking on the row. This will open the timeline of that unique conversation and you can see with whom the customer had contact with. The contact shown here is a Skype for BusinessSkype for Business (formerly Microsoft Office Communicator and Microsoft Lync) is an instant-messaging client used by Anywhere365. In order to use SFB, a Microsoft Skype for Business Server is required. Skype for Business is enterprise software; compared to Skype, it has different features that target businesses. object. 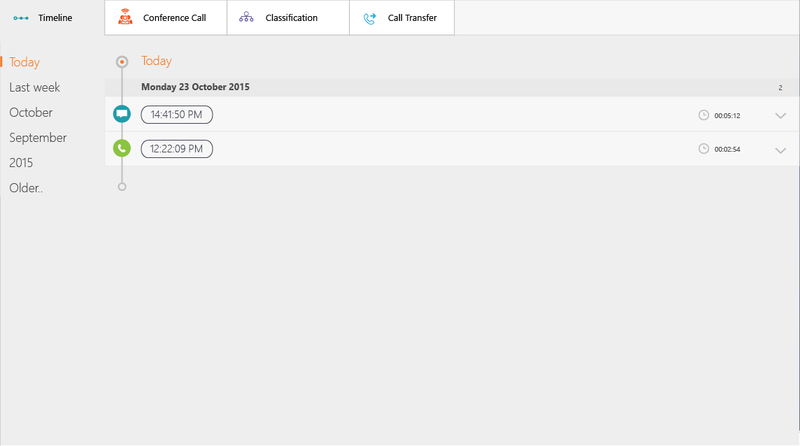 This means you can click on the contact and do a call or chat, you can even drag and drop too.